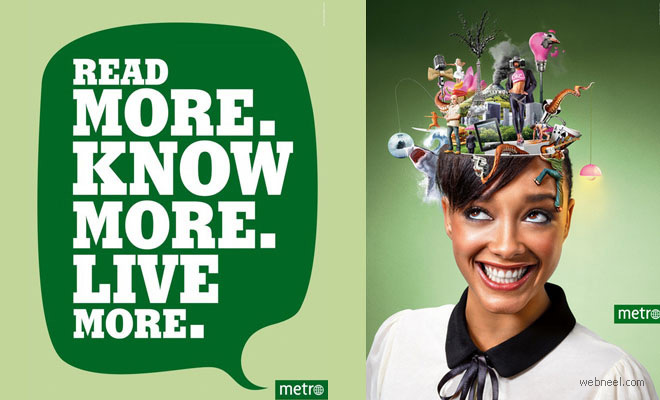 The Print Ads: The Print Ads are a visual ride through the head of a Metro reader as the articles and stories read become vivid experiences. 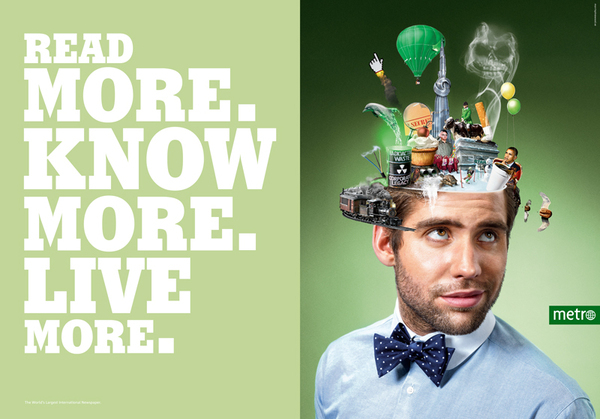 Photographed and digitally enhanced by Sven Prim @ Agent Molly. 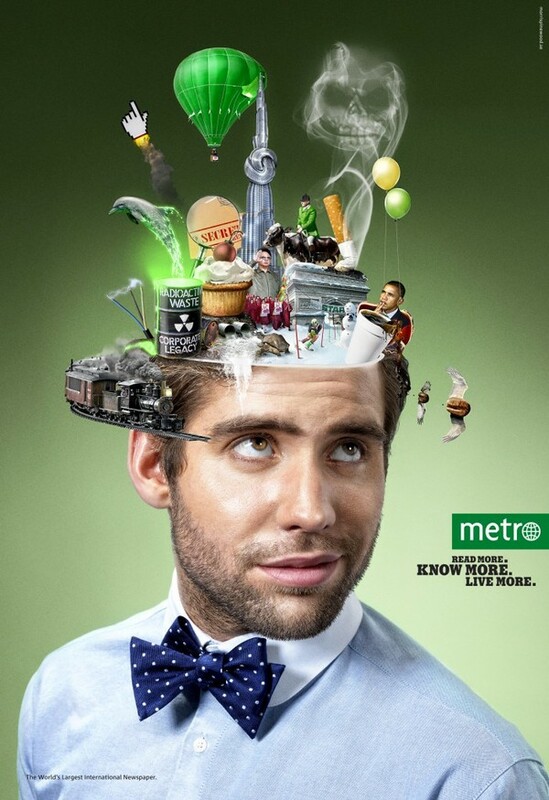 About the project: The advertising campaign is based on the recently re-defined brand strategy that positions Metro as a premium brand in its category, aligned to the company and editorial vision. 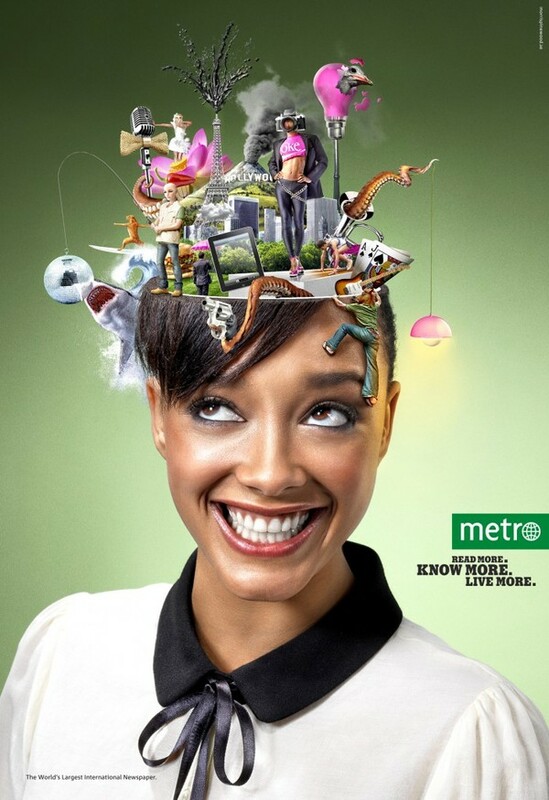 The new brand positioning describes Metro as “the unique source to get more out of Metropolitan life”. 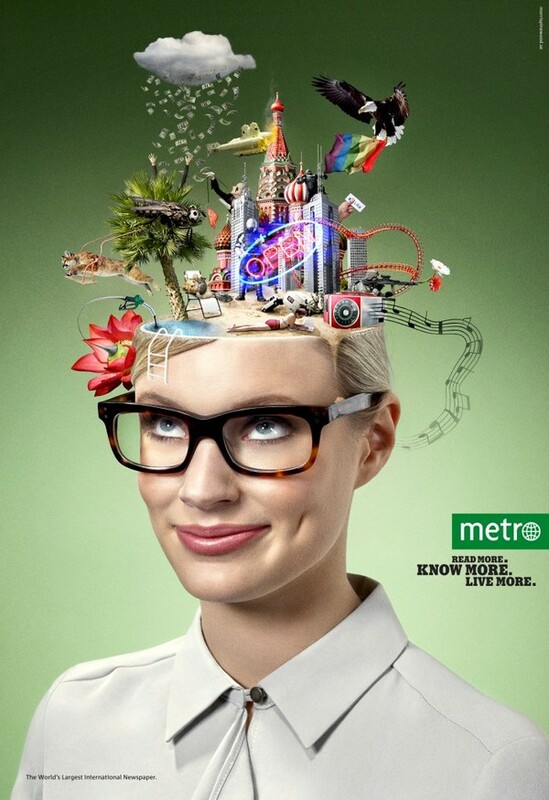 The advertising idea: “The Metro Experience“, is based on the insight that, as a young urbanite, you can get more out of your life by finding out more about what’s going on in your city. 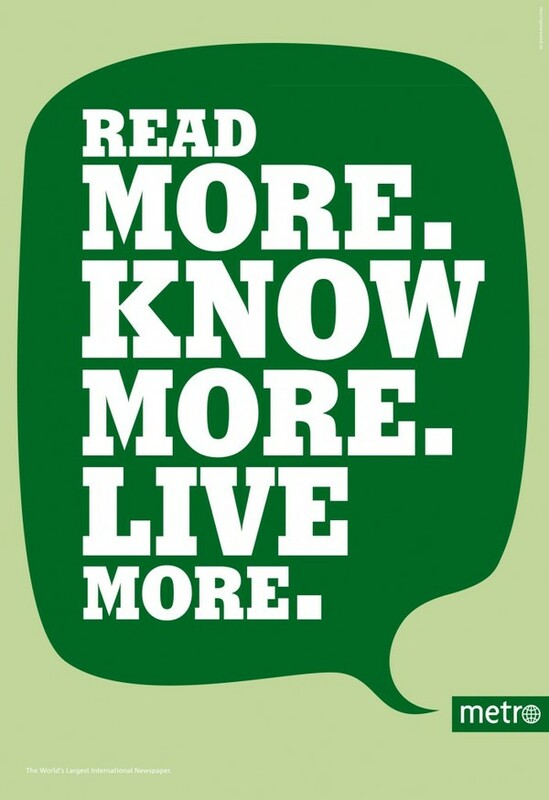 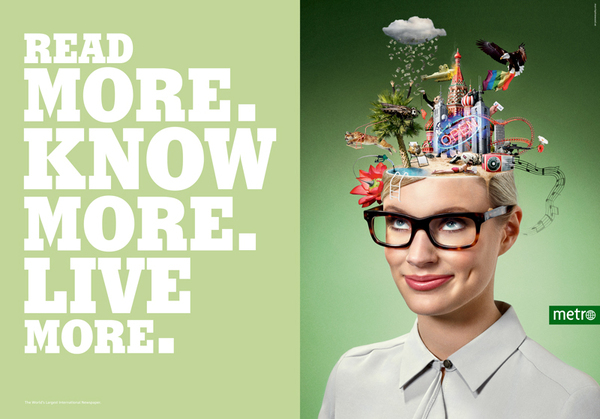 The first campaign visualizes how much that happens in the heads of urban people when they pick up an issue of a Metro newspaper, concluded by the tagline: “Read more, know more, live more“.